Who doesn’t want to keep their home looking good? But we often tend to ignore the little details in our quest to make things externally attractive. Today, we will touch upon two such easily overlooked essentials; gutters and siding. Gutters are an essential part of roof installation that keeps water from accumulating on the roof and channels it away from your home. Without proper rain gutters, there’s a chance of water accumulation around the foundation of the house, which in turn could make it weak. Rainwater if not funneled away could seep into the home. The rainwater can be led away from the rooftops, into pits for being reused or recharging ground water. Gutters come in various shapes like half round and L. Largely gutters are made out of vinyl, copper, zinc, steel and aluminum. While vinyl is the cheapest, copper is the most expensive material that gutters are made out of. If you use the right materials and stick a strict maintenance schedule, gutters could last you a lifetime. Although you can install a gutter yourself if you want seamless gutters or you have a multistoried house it’s better to call in the pros. A lot of debris flows with the water from the rooftops through the gutters. Use a scoop to clean the gunk that has settled into the gutters and flush it with water thereafter. You should also use leaf stoppers, gutter guards, and debris stoppers to make your life easier. If you neglect cleaning the gutters at least once a year it could ruin your landscaping and siding. Now let’s delve a little deeper into the other overlooked part of a house, siding. Sidings are attached to the exterior side of the wall or building and form the first layer of defense, in addition to the roof. Naturally, they are made out of weatherproof materials. They are smaller in size than the walls they cover and are joined together in different arrangements. This helps them naturally expand and contract when exposed to the elements. Siding protects it the walls from getting wet and retaining moisture. Depending on the material the sidings are made of it could additionally have pest repellant and fire resistant properties. Fiber-cement based sidings tick off all the boxes when it comes to protecting your walls. Other materials like vinyl and wood-based sidings can also be used depending on your needs. Vinyl Sidings: They come in a variety of colors and textures, they are made of PVC. 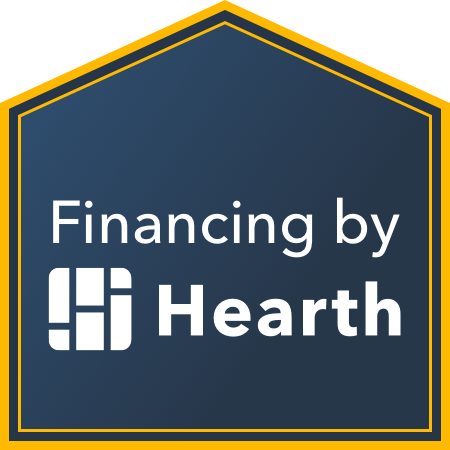 The biggest advantages of these siding are they are virtually maintenance free and are for the budget conscious. These were alternatives to aluminum sidings and came to the fore in the 1950’s. These sidings are made up of two layers, the top one contains titanium dioxide that provides UV protection as well as the colors. The second is the limestone layer which helps to keep costs low. Though they don’t require maintenance, they should be washed at least once a year to keep your house looking fresh. They can be easily replaced in case they are damaged. Wood or Wood products Sidings: can go through numerous wet and dry weather cycles, which means a longer life. They also provide a classy exterior look. Engineered wood sidings are durable and lighter than other wood alternatives. Wood sidings are susceptible to moisture, mildew or mold. To keep serious issues like indoor humidity and prevent leaky rooms, you’ll need to fight mold on the wood sidings. If you find dark spots, you can scrub them out with a solution of ¾ cup bleach in a gallon of water. Make sure you are wearing gloves and protecting your eyes with proper eyewear. 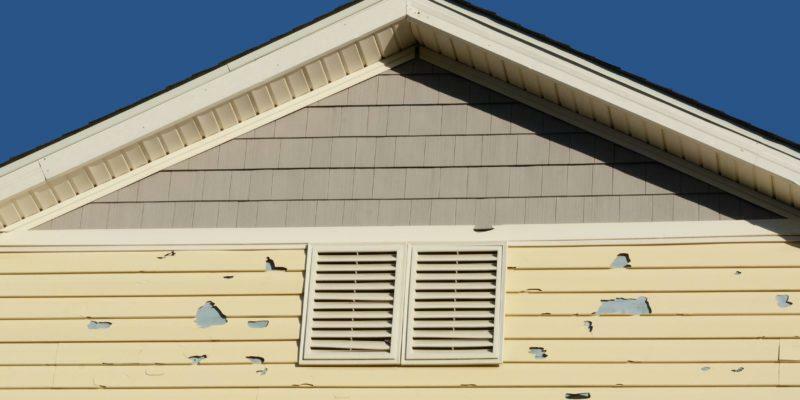 If there’s loose paint or cracks on your siding, it’s better to get in touch with a professional siding repair and replacement contractor. Fiber Cement: Like the name suggests it’s made of a mixture of fiber, cement, and sand. It offers the toughness of concrete and can be ordered pre-painted. The fiber cement siding trend is currently catching on because of its versatility. This siding uses a special curing process which makes it resistant to moisture absorption. That doesn’t mean its maintenance free. You should check the caulk that’s used to join the siding to the other parts of the home for leaks, warping, cracks and mold. If you observe any of these signs call us at (972) 596-0159 to find out if it’s something you should worry about. Absolute construction has been in business since 2007 and is ranked within the top 150 Roofing companies nationwide. Your home is your pride. You devote time and funds to beautify and maintain it well. 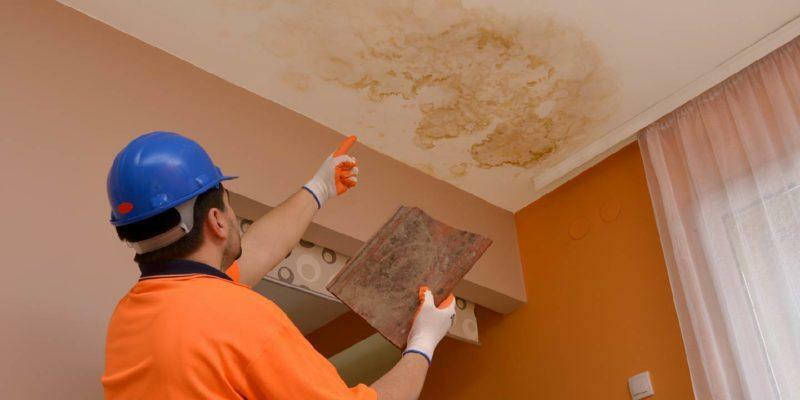 Water stains on your home’s ceiling can be a sore sight. 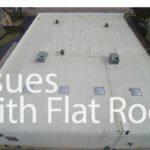 The most common reason for this problem is a leaky roof. Typically, on sighting the problem, instead of identifying and remedying the real source of the problem, people go about masking the ugly stains or doing a shoddy repair job that hardly lasts long. And, what you have is a persistent problem that shows up every now and then. 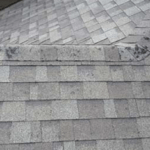 It’s advisable to engage a professional, skilled roofing service provider who can diagnose the origin of the leak and provide a long-lasting solution for it. The last thing you should do is to ignore the water stains. The stains won’t disappear on their own. But you must also remember that making cosmetic changes to the damaged area will hardly be of any use. Just repainting the stained area will not fix the problem. The stains will just bleed out and appear again in no time. Attending to the stain should come only after the cause of the problem is identified and fixed. Whether it’s a leaky roof or a busted bathroom pipe, fixing it will require a pro’s help. Trained professionals always use appropriate tools like a moisture meter to find out if the leak is an active one or not. This will determine the future course of action. 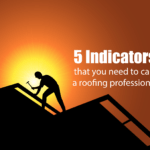 Sometimes, the problem is faulty insulation or poor water quality. Only an experienced eye can identify the ailment and decide the treatment. Leaks: Identifying a leak is not always straightforward. Usually, the area directly above the stain is the culprit. If there’s no water source above the stain, check for leaky pipes. It’s not uncommon for water to run along rafters or damaged pipes and drop onto the ceiling. Pooling of water in a spot for a long time leads to stains. Condensation: Another common cause is condensation in improperly insulated ducts. Sometimes, the connection between an exhaust pipe and roof cap is not airtight and moisture that should be released outside condenses wildly at the joint. The water slides down to the duct bottom and falls right back out of the exhaust pipe. Ice Dam Leakage: If stains appear at ceiling corners or outside walls, the most probable cause is ice dam leakage. This happens when insulation in the attic is insufficient. After a heavy rainfall snow may accumulate on the roof and in absence of proper insulation, melts down and shows up as ceiling stains. To spot condensation in your attic, inspect nail heads in the attic. If they are rusted or their sheathing is stained, condensation is the issue. Water Quality: Often, hardness in the water supply can show up as a white, chalky deposit in faucets and pipes. Excessive accumulation of this deposit can narrow pipe cavities or eat into the piping. This can also result in dripping and water stains. Investigating water stains is worth the effort. Active leaks should be rectified as soon as possible. Actually, you won’t have much choice because active seepage will disintegrate your ceiling at lightning speed. Often a water stain is the last indicator of a deeper problem. A pipe may be close to bursting or sweating like crazy, but it’s very difficult to detect, and that’s were a professional can help. Timing and intensity of the leakage will need to be determined. Water quality testing at points of seepage will be done to find out if its fresh water or from a faulty roof or drain. Sophisticated equipment and expertise are prerequisites that may be beyond your scope. Even small-time repairs to roofing and caulking require a number of special appliances and consumables. So, hiring a handyman or roofing pro turns out to be worth the investment. If seepage is due to condensation in exhaust pipes and ducts, the fix lies in installing proper insulation, a short run, and airtight joints between ducts and roof caps. If ice dam leakage is responsible for water stains, the solution lies in upgrading insulation in the attic and sealing all gaps. Another way to reduce this problem is to increase the air humidity levels indoors. Installing a quality water softening system is recommended in areas receiving hard water supply. You may need to replace damaged pipes and ducts and install corrosion-resistant pipes. Once the leakage source has been identified and fixed, tear off the stained plaster, apply a stain-killing primer, and repaint. Fix the stains on your ceiling before they become a nightmare. Talk to Absolute construction today and find out how.